Prekonate (Prekovi language: Přísko) is a constitutional republic in Maredoratica, located on the continent of Wilassia. It borders Valcluse to the east and Nouvelle-Morieux to the west. Prekonate is the largest country in Maredoratica by both area and population, is influential in global economics and finance, and is a major regional military power. Prekovis trace their ancestry to the Karamite peoples who settled northern Wilassia in the sixth century AD. The first major polity formed by the Prekovis was the Kingdom of Opava, which fought Mongol invaders from eastern Wilassia in the 700s to 900s AD, before ultimately being conquered in 961. After three centuries of Mongol rule, an alliance of Prekovi vassal states defeated the Khan of the Prekovi basin, Tömörbaatar, in the Battle of the Teplá River. The free Prekovi states were confederated by Václav Opavský in 1642. Exploration and conquest over the following decades led to the rise of a large, multi-ethnic, multilingual state stretching across most of northern Wilassia. Unlike the great majority of countries in Maredoratica, Prekonate does not belong to the Maredoratic League. It is one of only two countries allowed to stockpile nuclear weapons under the Maredoratic Treaty Against Proliferation of Nuclear Armaments. Prekonate fought an undeclared military conflict against Questers in 2015 over the island of Karaman, ending in its defeat. Prekonate is more than double the size of the next-largest country in Maredoratica, Boaga. It bounds three mountain ranges, twenty-eight major islands, over one million square kilometres of Boreal forest, and tens of thousands of lakes and rivers. Two-thirds of Prekonate lies north of the 60th parallel, and three-tenths is within the arctic circle. The Kovic and Vrabčí mountain ranges divide Prekonate from north to south. Together, they form a spine that subdivides Prekonate into western and eastern halves. The flat, fertile land in the west is home to more than two-thirds of Prekonate's population. The limits of this populated zone, called the Prekovi Basin, are marked in the north by the Teplá River, and in the south by the Úslava River. To the north of the Teplá River lies a sparsely-populated band of boreal forest and tundra, which eventually gives way to the arctic. The rugged coastline region north of the Teplá River is called the Dýky, and is dominated by fjords and glacial valleys. To the south of the Úslava River is a rugged stretch of hill country called the Kavkaz. Central Prekonate is rocky and mountainous, with geography dominated by the Kovic and Vrabčí mountains. On the southeastern fringe of the Vrabčí mountains lies Szendro, a hilly region populated by the Magyars, and beyond that lies the Karskar Sea, a low-lying arable region that is home to the Karskars. Steppes dominate most of eastern Prekonate in areas of lower latitude. The steppes gradually give way to a rocky stretch of coastline called the Prekovi East Maritimes. Prekonate comprises numerous climatic zones. Two-thirds of the country lies in the subarctic climate zone north of the 60th parallel. Three-tenths is within the arctic circle. The remainder of the country, including the Prekovi Basin and East Maritimes, mostly experiences a humid continental climate. Areas of southwestern Prekonate adjacent to the Maredoratic Sea experience oceanic conditions. The basic administrative unit of Prekonate is the locality, of which there are 417. Except in Přímořský, the borders of the localities reflect the fiefs and polities of pre-Confederation Prekonate, and therefore vary dramatically in area and population. The localities are organized into five krajs and four city-states (each of which comprises one locality) for the purpose of legal appeals, but each locality retains independent control over its own administration and lawmaking. There are four autonomous regions and two industrial regions, which are administered directly by the central government. There are two internal republics, Místek and Szendrő, in sovereign association with Prekonate. Each has its own constitution and a very high degree of autonomy. The republics are linked to Prekonate by bilateral sovereignty association agreements, which govern conflicts of law between the republican constitutions and that of Prekonate. Both republics accept the High Court of Prekonate as their final appeal court, and both divest control over foreign affairs and defence to the Prekovi government. Prekonate is a decentralized parliamentary, constitutional republic. The constitution is an amended version of the Provisions of Opava  (Opavská ustanovení), which organized the government of the 17th century city-state of Opava. Government consists of the unicameral Senát, an executive chancellor and his cabinet, and a system of 417 local legislatures. A system of State and local courts interpret laws. Local legislatures (věci, sing. věc) make the laws of Prekonate. They elect representatives to the Senát, which can alter the Provisions of Opava, conduct foreign affairs, and manage national finance. Senators are chosen in simple majority first-past-the-post elections. The law-making power of the local legislatures is restricted by the Provisions of Opava, especially the Second Division, which outlines the common values of Prekovi society. Every eight years, the Senát elects a new Chancellor who is commander-in-chief of the armed forces and appoints the heads of the civil service. The Chancellor can veto any changes made to the Provisions of Opava by the Senát. The Maredoratic Democracy Index assigned Prekonate a score of 48/100 in 2013, denoting a hybrid regime. Because residents of autonomous and industrial regions are unable to participate in a věc, over 36 million people in Prekonate are unable to vote for the Senát. Voter intimidation has been documented in many regions of the country. 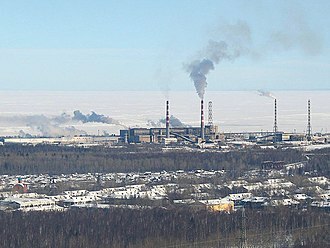 Prekonate is a newly industrialized country. Still largely rural, Prekonate has experienced rapid economic growth growth since the 1980s, and is now the second largest economy in the region behind Morieux. Its major industries are petroleum, mining, armaments, chemicals, and generic pharmaceutical products. The economy grew by an average of 7% each year over the last 10 years. Export of energy and mining products accounted for more than half of total growth. There is widespread state interference in the economy, despite market reforms in recent years. The central government is the majority shareholder in 83 of the 100 largest Prekovi firms by market capitalization. The process of state divestment from industry, begun in the early 2000s, has been slowed by the requirement that buyers be of Prekovi ethnic origin. Because of the size of its economy, Prekonate plays an important role in Maredoratic finance. It is a net exporter of goods, and has by far the largest current account surplus in the region ($480 billion). Foreign investment in Prekonate is low compared to other recently industrialized countries. A complicated legal code and inconsistent record of business nationalization are cited by credit rating agencies as barriers to foreign investment. Many Prekovi banks are poorly capitalized, and some are restricted from lending to foreign enterprises. Prekonate claims an exclusive economic zone (EEZ) of 300 km, and does not recognize the EEZ claims of other countries. In particular, Prekonate’s Arctic Exploitation Zone overlaps with the EEZs of Varnia, Sondstead, and Boaga. Most inhabitants of Prekonate trace their ancestry to the Palamite tribe of ancient Karaman, who arrived in the 500s AD and assimilated the small native population. The linguistic and ethnic offspring of these settlers are referred to as Kirilics, after their patron, Saint Kiril. The most numerous group of Kirilics are the modern-day Prekovis, who make up 76% of the population. 12% of Prekonate identifies as "Non-Prekovi Kirilic", which includes the Karskars (8%) and Bołeslaws (4%). These peoples share common ancestry with Prekovis, but have linguistic differences because of settlement in isolated areas of northern Wilassia, such as the Karskar Sea. Ugrics make up the second largest ethnic group. The first Ugrics to inhabit the country were Saami peoples, who are thought to have crossed an ice bridge from modern-day Sondstead in the early 2000s BC. Some Saami tribes ventured southeast to form the earliest descendents of the Magyars. Magyars make up 5% of modern Prekonate, and Saamis make up a further 1%. Magyars mostly live in the Republic of Szendrő in south-central Prekonate, while Saamis inhabit the arctic northwest. At the time of Karamite settlement in Prekonate, Mongolic peoples inhabited the lands east of the Kovic, and south of the Kavkaz mountains, having conquered the native peoples there. Today, Mongols are found in the Sádek and Sabinov regions, with the largest population in Hradec Králové. They make up 6% of Prekonate's population. Over 95% of Prekonate is Christian. Karamites brought Christianity to Prekonate in the 6th Century AD, where it spread and became the region's dominant religion. The most popular sect by far is Slavonic Christianity, a heterodox branch that rejects trinitarianism. The Provisions of Opava guarantee freedom of worship, but also prohibit the government from recognizing or supporting any church other than the Slavonic Church. Other religions are practiced by Prekonate's ethnic minorities. The Magyar king, István III, converted to Catholicism preceding his victory over the Kingdom of Opava in 853; today, his people are over 95% Catholic. Various animist and polytheistic beliefs predominate among the Saami peoples. Shamanism is common among Prekonate's twenty-nine million Mongols, making it the second largest religion in the country. Mongol shamanism involves a highly complex hierarchy of souls and spirits, the highest and most pure of which is the spirit of the life-giving Horse God. Education in Prekonate consists of twelve years of elementary studies, followed by four years of university or two years of technical school. Prekonate has a high literacy rate (98%) among primary school graduates, particularly for a middle-income country. It ranks favorably on regional measures of education. Prekonate has no official involvement in international organizations. It is not a member of the Maredoratic League, nor of any other military or cultural organization. It maintains diplomatic relations with every recognized state in Maredoratica. Prekonate is a signatory to the Maredoratic Treaty Against Proliferation of Nuclear Armaments, under which it enjoys exclusionary status as one of Maredoratica's only two nuclear-armed states (the other being Morieux). Prekonate is commonly regarded as one of Maredoratica's great powers. It has been described by some political scientists and economists as being a rising superpower. Although legally part of Morieux's Nouvelle-Morieux department, the Taïmyr Peninsula (Prekovi: Tajmyrský poloostrov) is unofficially claimed by Prekonate. At the beginning of each new Senát session, its member swear an oath of loyalty to Prekonate, with the explicit inclusion of the Taïmyr Peninsula. Prekonate's official claim was withdrawn in 1961 in exchange for a nuclear warhead limit under TAPNA. Prekonate has the third largest military in Maredoratica, numbering 2,706,000 personnel in three service branches: the Prekovi Army, Republic of Prekonate Navy, and Prekovi Air Forces. The Ministry of Defense administers the military, and the Marshal of the Prekovi Republic has practical command. Both the Minister of Defense and the Marshal of the Prekovi Republic are appointed by the Chancellor, who is the legal commander-in-chief. The current Minister of Defense is Jakub Zajíc, and the current Marshal of the Prekovi Republic is Grand Admiral Matouš Čech. Manpower for the Prekovi Army is conscripted, but the Navy and Air Forces are entirely volunteer. At age 16, Prekovi men become eligible for three years of conscription. There are very few exceptions. Conscripts are fully discharged after their terms of service; only volunteers remain in the military reserves. Prekonate has a well developed arms manufacturing sector. Most of the materiel used by the Prekovi Armed Forces is produced domestically, and Prekonate is one of the largest arms exporters in the region. Despite a low level of development, Prekonate has an official literacy rate of about 98%. Reading and writing are intertwined with Prekovi culture, which places importance on traditional folk tales as sources of moral and spiritual guidance. Many Prekovi folk tales center around an outcast's journey to redemption, and some, such as the tale of Ladislav the Brave, are well known in other Maredoratic countries under different names. In isolated Prekovi villages, folk tales are often the only written materials available. Prekovi literature blossomed around the early 20th century, with the rise of the great Prekovi novelists. The golden age of Prekovi literature is generally agreed to have begun with the publication of Oliver Bureš's famous novel Osamělý Muž, about the human condition in turn-of-the-century Prekonate. Contemporary Prekovi novelists still draw on Bureš as a source of inspiration, and the subject matter and extreme length of Bureš-inspired novels has led to the widespread view of Prekovi literature as being dour and somewhat depressing. Nonetheless, the technical aspects of Prekovi novels are highly regarded, and the field of Prekovi literature is popular in major universities across the region. Modern Prekovi literature also incorporates short stories and poetry, art forms traditionally rejected by Prekovi writers. In 2012, Erik Jež won the "Chancellor's Award for an Outstanding Cultural Production" for a book of poetry about life in Prekonate's north, marking the first time that the award had been given to a poet. Prekovi art is influenced by the iconography of the Prekovi Orthodox Church, as well as popular secular topics such as the landscapes and peoples of Prekonate. Paintings such as Michael's Arrival in Prekonate and The Church in Frýdlant are well known throughout Prekonate, and some 19th century realist portraits of the Prekovi peasantry such as Taking Water From Ostrava are displayed in prominent Maredoratic museums. Prekovi painting flourished in the period between the founding of Prekonate in 1642 and the Tajmyr War in 1865, when the cities of the Prekovi basin traded extensively with the rest of Maredoratica, and there was a healthy exchange of methods between Prekovi artists and their counterparts in Alisna. During this period, traditional Orthodox-inspired art gave way to paintings inspired by Alisnan ideas of romanticism and realism. After the Tajmyr war, a long decline of the major Prekovi trading centers set in, and artists such as Jarmil Vlček and Daniel Novaček became known for painting scenes of ordinary Prekovi peasants in desperate conditions. This period, known as the hyper-realist phase of Prekovi art, continues to have a strong influence on contemporary painting and sculpture. Cuisine in Prekonate falls into two categories: ordinary dishes prepared by households across Prekonate, and elaborate cuisine enjoyed in fine dining establishments in Prekonate's major cities. In either category, main dishes generally consist of poultry, pork, veal, or a freshwater fish such as trout, tench, or pike. Many Prekovi households only eat meat occasionally, and so primarily rely on dishes such as potato or bread soup (bramboračka and chlebová polévka, respectively), solyanka, mushrooms, and lentils. In the Prekovi Basin, cabbage and sweet peppers are used extensively, especially alongside rice. Rabbit is the most common meat dish for ordinary Prekovis. Fine Prekovi cuisine focuses on fresh ingredients and simple preparation, often incorporating elements of regional cuisines from across the country. Beef goulash from Szendrő is popular in Ostrava restaurants, as is rouladen and fatányéros. Chantilly cream and cranberry compote are popular garnishes, especially for braised beef and veal dishes, and fried chicken skin is a popular side dish. Prekonate is world-renowned for its pastries and baked goods. Fresh black bread and bread dumplings are common throughout Prekonate, but the master bakers of Ostrava are also responsible for inventing such famous dishes such as esterházy torte, Prekovi crepes, buchteln, and Sacherův dort (a chocolate cake with apricot filling). Sweet pastries are popular, particularly strudel, kolach, kobliha, meruňkové knedliky, and trdelník. Most Prekovi towns have at least one major bakery specializing in pastries and breads.